Pune-based Force Motors has bagged an order for supplying Light Strike Vehicles (LSVs) to the Indian Army. Force Motors has managed to get this order in spite of stiff competition from some well-established manufacturers. 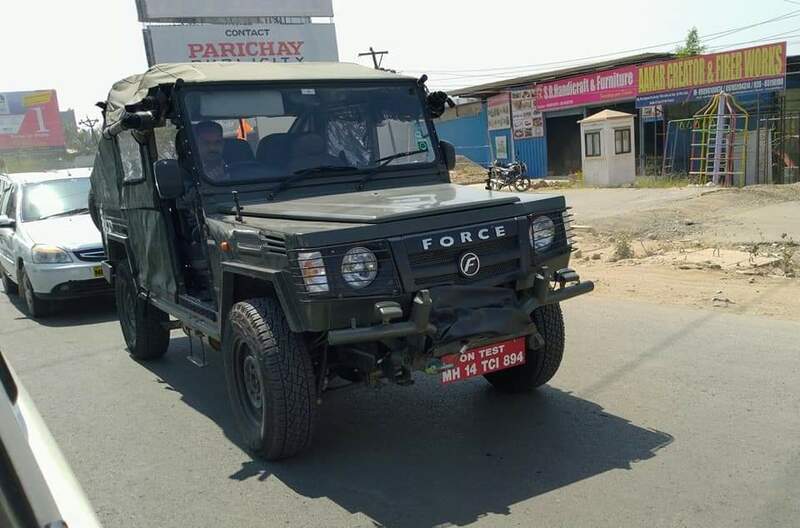 Spotted on test is the 5-door Gurkha based LSV which has been designed and developed by the company’s R&D team. The indigenously built Light Strike Vehicles (LSVs) will be used by the armed forces for defense purposes. The vehicles, which have been designed and developed by the company’s R&D team, is claimed to have high speed and reliability. The OEM states that the LSV not only uses the proven, rugged and reliable aggregates like engines and transmissions from the Force Motors’ stable but it is also uprated for the demanding applications of the armed forces. The LSV has been rigorously tested by the armed forces for over two years. This involved traversing rough terrains as varied as the scorching deserts of Rajasthan (50deg Celsius) to the sub-zero temperatures in the Himalayas (-30deg Celsius). The LSV is designed for quick ingress and egress, and is capable of performing on extreme terrain, with manoeuvrability, high speed and stability, 4×4 configuration, and have differential locks on all wheels, similar to the Force Gurkha. It is also equipped with run-flat tyres and has provision to mount assault weapons like a rocket launcher and machine guns. The LSV can be airlifted and dropped into enemy territory, for use as an advance fast strike vehicle. Force Traveller and Trax range of vehicles are already in service with most of the paramilitary organisations in the country.